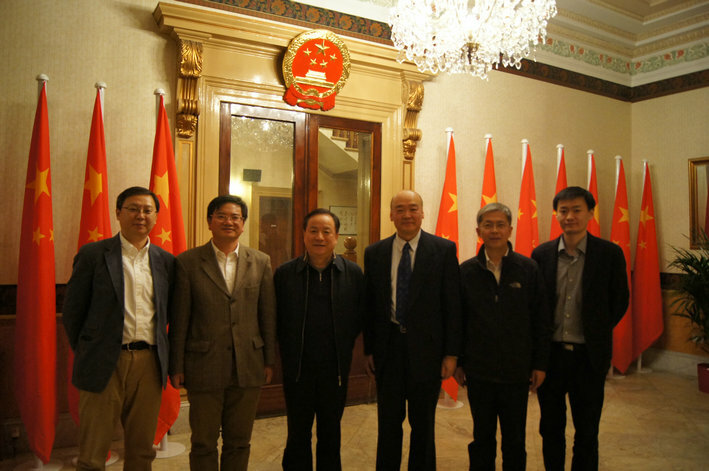 Consul General Dr. Sun Dali met with visiting Deputy Chief Shu Guozeng of the General Office of Central Leading Group for Financial and Economic Affairs and his delegation at the Residency on Nov. 21, 2016. Deputy Consul General Lai Bo and Consul Lyu Xiaomei attended the meeting. Consul General Sun welcomed the delegation and briefed them on local industrial strength, cultural&sports resources, possibilities for mutual cooperation. He stated that the northern region of England, which used to be quite prosperous boosted by the industrial revolution, has been concentrating on transforming and upgrading its economy and gained many experiences. Northern cities like Manchester has successfully changed its industrial economy to a service economy. Chinese President Xi Jinping's visit to Manchester last year opened up a 'golden era' for China-UK relations. 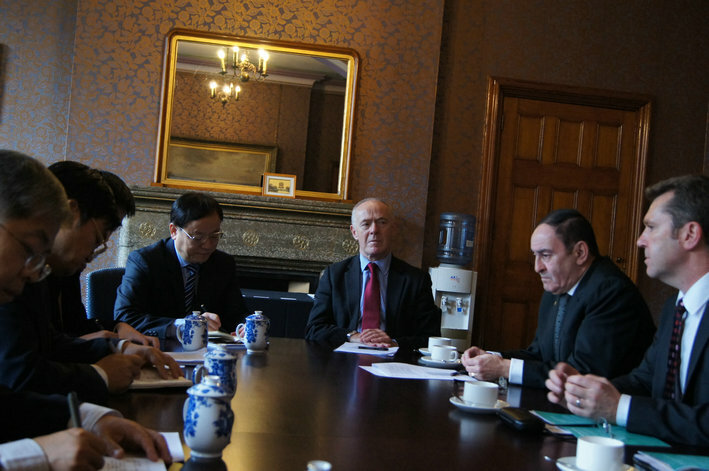 Local governments in the north of England are showing more interest and confidence in developing relationship with China at all levels. 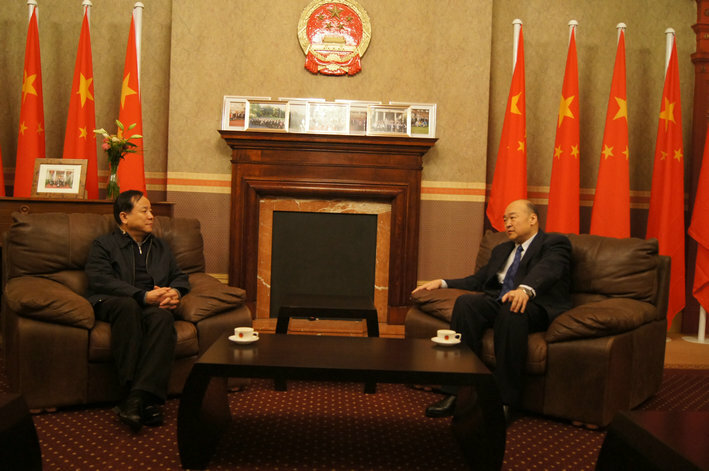 China-UK cooperation has witnessed a vigorous increase. Mr. Shu thanked for the information and expressed the will to know more about the progress of the 'Northern Powerhouse Plan' and useful lessons in industrial transformation and upgrading through this visit.